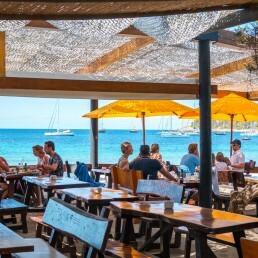 Breakfast 10 - 12:30 h.
Kitchen 12:45 - 19 h.
Since 1993 we have been a beach restaurant with the spirit of a chiringuito (outdoor bar). This simple sentence describes our philosophy of life. 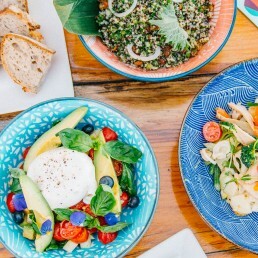 At Jockey Club Salinas you will find all the services and quality of a restaurant without losing the essence of the lively original chiringuitos. 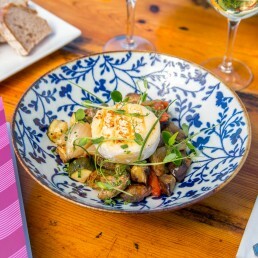 Tasty Mediterranean menu, exclusive wine list, Breakfast on the beach, sunbeds, fruit&cocktail bar, DJ’s, the Jockey shop; all within a friendly atmosphere, complicity with customers and a professional staff. 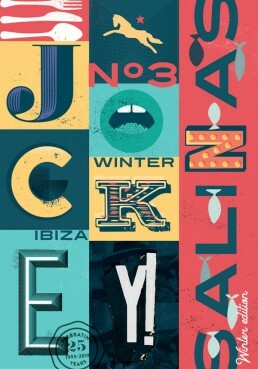 At Jockey Club Salinas we strive for the passion in authenticity and differentiation. Cocktails are a true religion to Oliver Lanzoni. 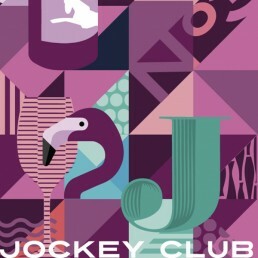 At Jockey Club you will find a great selection of lovely handmade cocktails. We also have daily suggestions. Summer is the season to enjoy fresh fruit, and if you are at Jockey Club Salinas Beach, it becomes a real experience. At the Fruit Bar you will find sliced fresh fruit dishes, milkshakes, sorbets and 100% natural fresh juices. 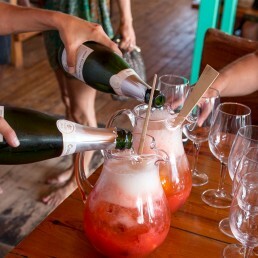 Mix the fruit with yoghurt or ice cream, try a cocktail or just enjoy one of our short drinks & bubbles. 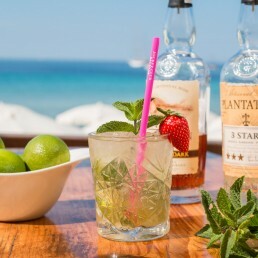 Julio Lanzoni (Don Julio) fell in love with Ses Salines since the first time he came in. 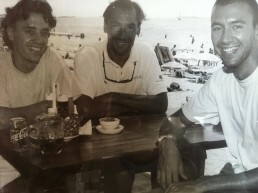 He set up a juice bar in Es Cavallet in 1991 and in 1993 he opened Jockey Club in Salinas beach. Pep Lanzoni, his elder son, joined the management of Jockey Club Salinas in 1998. Oliver Lanzoni, the youngest member of the family, took over the helm of the company in 2002 and has been running the Jockey Club Salinas project since then. The Jockey Club Salinas has been managed as a family business since the beginning. Most of our staff has been with us for more than 4 years and some of them form the first season. 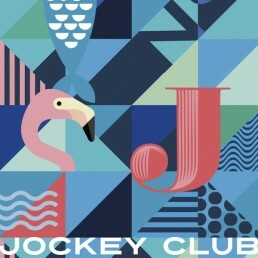 At Jockey Club we are, overall, a big family.